The “Wanganui Online.com" website portal is a local initiative, independently developed by Webquest Ltd. It has been designed to provide information about events, activities, business products and services, and other items of local interest – these include classifieds, births and funeral notices, sports draws, event ticket sales, an online shop, and columns. 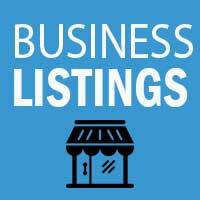 By listing with Wanganui Online you not only get exposure through that “industry” listing but also by leverage from being found “by association” with the site eg. some-one staying in Wanganui may want to know about “Things To Do”; someone attending an event may be looking for accommodation; someone viewing a Funeral Notice may want to send flowers; and so it goes on. If this is of interest to you, please give us a call or visit our Business Services section for full details. Wanganui is located close to the mouth of the Whanganui River, 200 kilometres north of the capital city, Wellington. Easily accessible by air and road, from Taupo, New Plymouth, Palmerston North and Wellington, Wanganui is an ideal visitor destination and abounds with historic buildings, beautiful parks, beaches, lakes and the home of a rich Maori cultural heritage. The mighty Whanganui River is a centrepoint for the city, featuring stunning public art, walkways and cafes. Sport facilities are the best in New Zealand and the heart of Heartland Rugby. No visitor to New Zealand wants to miss this beautiful and dynamic city. Much of the city is on the river's northwest bank. The river is crossed by four bridges - Cobham Bridge, City Bridge, Dublin Street Bridge and Aramoho Railway Bridge (rail and pedestrians only). Close to the southeast end of the City Bridge is one of Wanganui's more unusual features, an elevator leading to a monument on the top of Durie Hill. With many parks, playgrounds and sports fields spread all over Wanganui, the town is incredibly well positioned to provide that outdoor lifestyle, another example of the family friendly culture we offer. Sport plays a big part in the day to day life while our fabulous venues provide the facilities for the regular events we hold. Cooks Gardens is not only famous as the track at which Peter Snell broke the world mile record but also features one of the best Velodromes in the world.